Aperion as a group introduces the diversity in use of stringed and symphonic instruments next to standard rock combo line-up. Despite the hard rock or even metal base the intriguing sounds of flute, viola and cello with help of dramatic didgeridoo and spinto soprano leading vocalist manage to curve the edges and make the music sound very theatrical. With live performance by all classical instruments, significant costumography, on stage choreography, light effects and special guests (contemporary dancers, orchestra, fire blowing artists) Aperion is defined as a strong on stage performer, also winning recognition with numerous live act awards at international band competitions. After years of gaining experience in live performance the 8 members cast decided to release their first album. 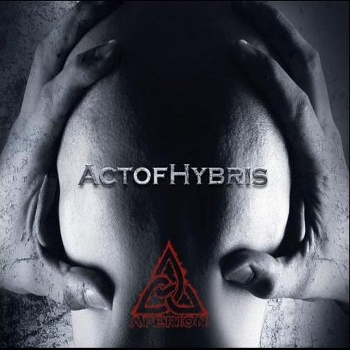 In search of the balance between classical harmonies and roughness of new age sounds, the thoughts of eternal battle between right and wrong were released in form of an album ‘Act of Hybris’ in 2010.